While the cobra bracelet looks awesome and is a great way to store paracord, sometimes it's not so awesome for deploying in emergency situations. 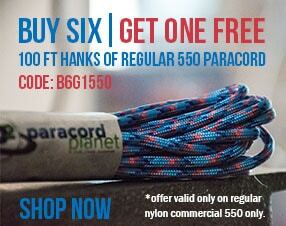 Gives you a 7 1/2 foot, seamless piece of 550 paracord. Has a built-in closure, so it doesn't require a buckle. 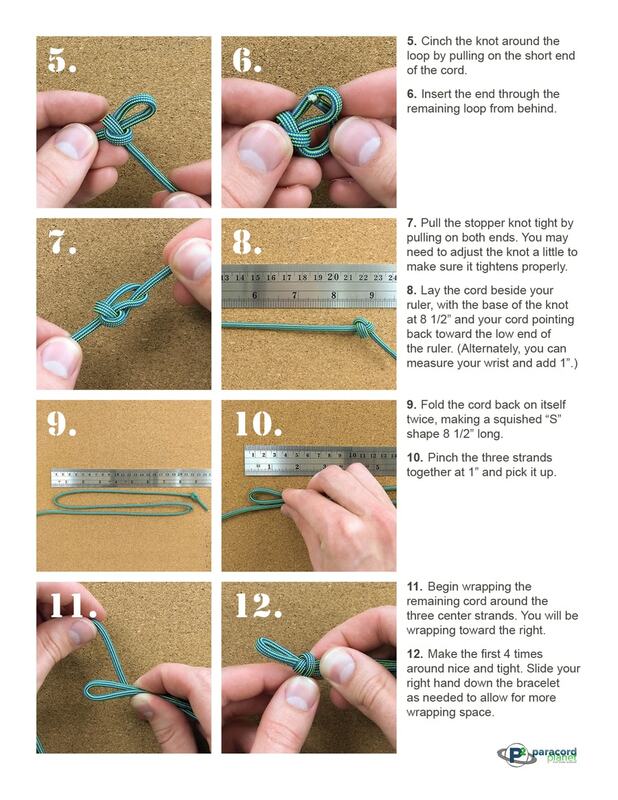 Doesn't kink your paracord to the point it's nearly unusable. Is the preferred method of US military troops. The items needed for this one are simple. About 7 1/2 feet of 550 paracord. You can browse our color options here. Want to support our troops? 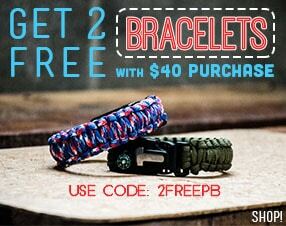 You can make these bracelets and donate them though Operation Gratitude. They send out the donated bracelets in care packages. Be sure to follow the directions exactly if you plan to donate. For more details on making these bracelets to donate, click here. 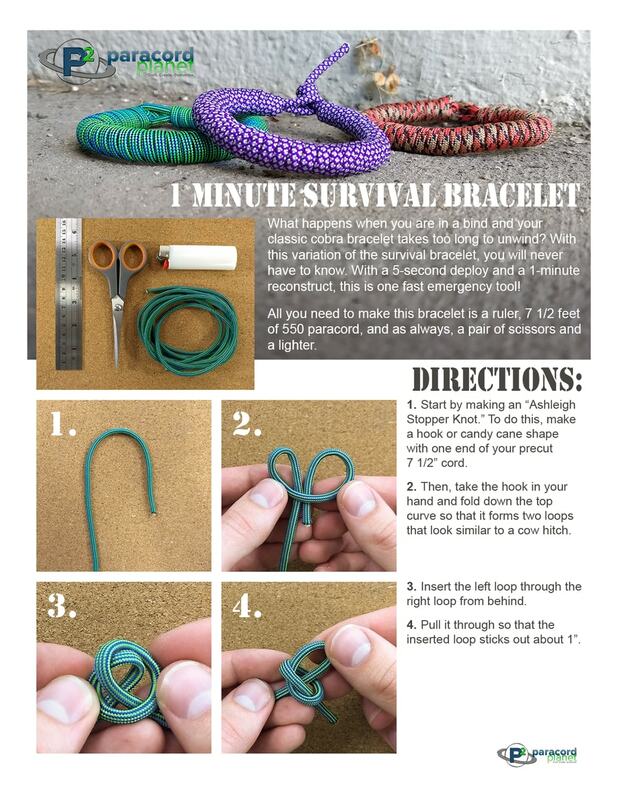 You can make this bracelet with other sizes of paracord. 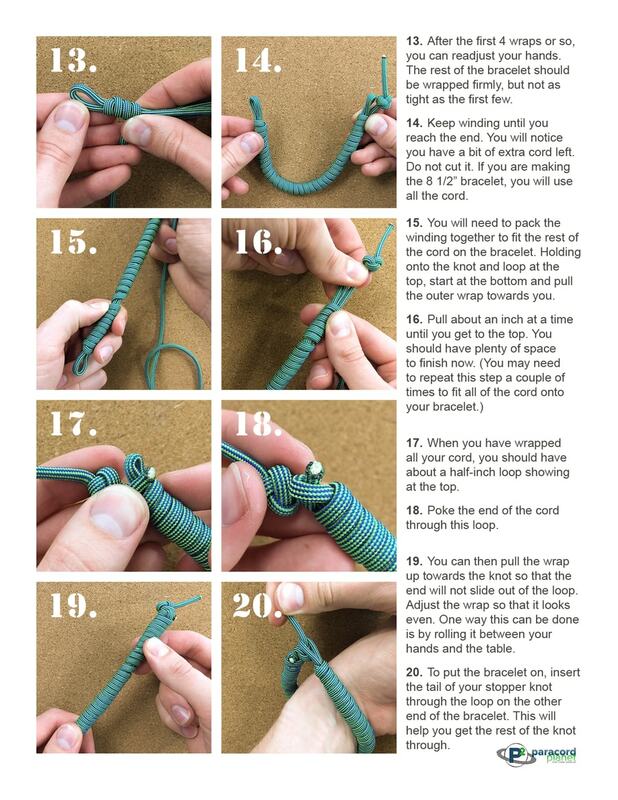 If you do, remember that you will need a much longer length of smaller cord to wrap the same length bracelet.